ALSO - Special thanks to all of our contributing photographers who are part of our community who provided great images for our website! We truly appreciate each of you! Harmonic Threads designer Olive began sewing in 2007 when she was a senior in high school and took a quick fashion design class. She is self taught seamstress after the fact. 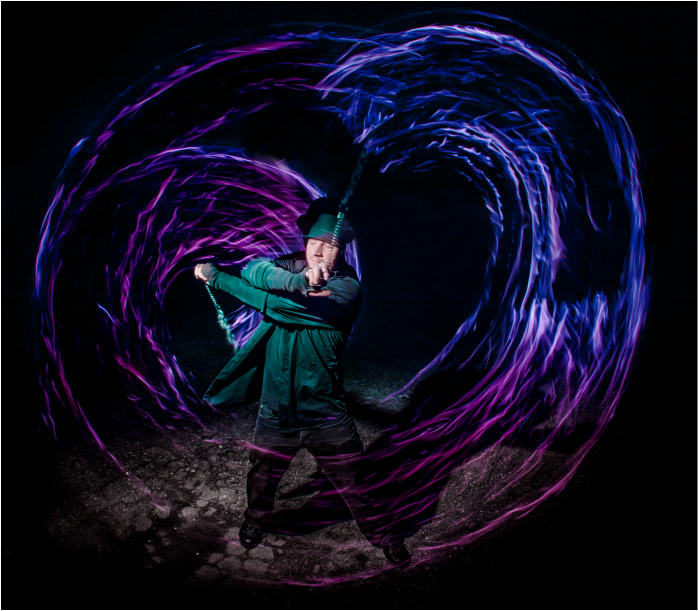 After she graduated she became interested in hoop dance and fire dancing. The need for breathable and cute costumes for performances was ever growing, so she combined the two. She creates costumes and outfits for dancers, performers, movers, and festival goers. The line is ever growing as she continues to be inspired by other performers and their clothing needs. Biography of Michigan’s most famous hobo (2011). Lil’ Jay Litzner was a freight-train hopping musician, Woody Guthrie style. Jay traveled with his wife Rosie, singing his songs, helping clean up post-Katrina New Orleans, fighting for freedom from labor and political oppression, fighting a drug addiction, and making friends across the country. In 2006, while on his way to California for the winter, Jay fell to his death from a freight train. His friends made their way to his home town of Detroit for his memorial service, and they brought stories of their adventures with Jay, stories of what his friendship meant, and stories of what his loss meant. These stories are compiled in his biography, Railroad Man, The Legend of Lil’ Jay. 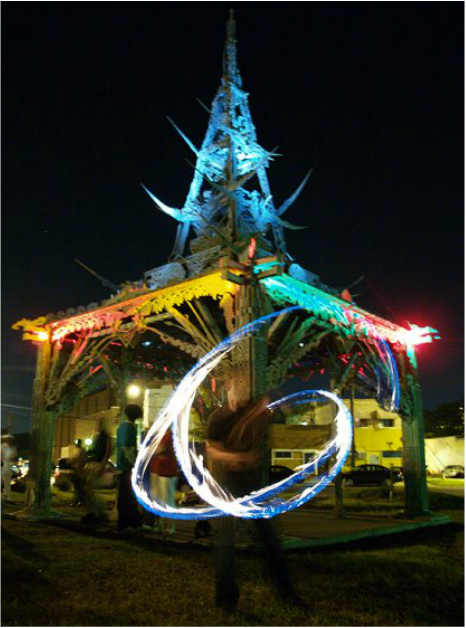 The Detroit Burning Man Facebook Group is place to connect Detroit and Michigan area Burners! We do a variety of get togethers and will post them there. Please feel free to post related topics on our facebook page. They also do Meet & Greets, Newbie Orientation s, and a smattering of community events and parties like Santarchy, Bunarchy and Urban Golf. Here is a good article on being a newbie Hi, n00bs! Lex Dodson, an editorial photographer out of Detroit. His specialties are low light and fast action work; skills which let him pull shots out of difficult settings. Like track-side with the Detroit Derby Girls. Eight feet from a sideways race car. Close enough to feel the heat from fire performers' props. At 3AM, behind the scenes of a haunted house. On subway steps in Taksim square. On stage at a black light concert. Between fate and experience, He's pulled shots of fascinating people out of some seriously surprising places. It’s enough to create a schizophrenic culture! Artist Keegan Kuvach calls attention to these contradictions we take for granted and critique them. 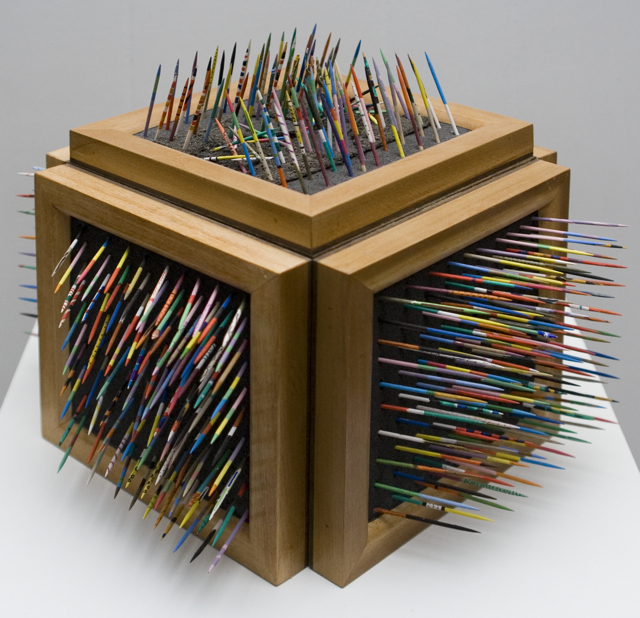 Using humor, toys, self fabricated mechanisms, and employing recognizable objects of utility, Keegan hopes to enable his audience to bring a re-examination to the frequently perverse and absurd aspects of our culture. Through a use of kinetics, familiar cultural icons, and a playful sensibility, he hopes to make his work accessible and exciting to a wide audience of all ages. 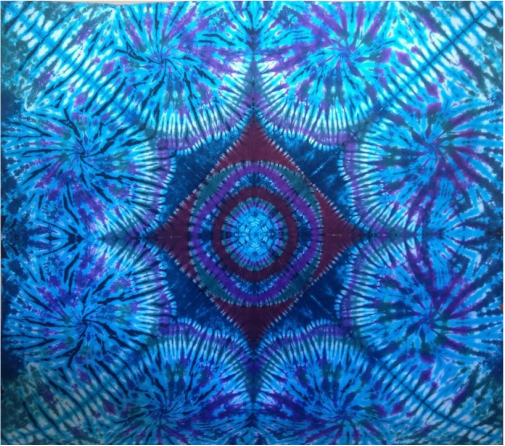 Tie dye creations, artwork, and apparel from Nth Degree Symmetry. Limitless expansion in the form of folds and dyes brought to you by Maggie Lou. In the depths of symmetry, Maggie Lou brings you tie dye from her side of the spectrum. Geometric love through art pieces and apparel. Based right outside Detroit, it is her mission to touch the lives of strangers all over. She finds passion in her artwork and in many things that she does and she would love to hear your story as well. She loves interesting trades and new opportunities to live a life of congruence. Contact her so you may chat about any ideas or questions! I AM is a simple teaching and way of living that is resonating with people today, an affirmation that we strive to be at peace with ourselves and one with all that surrounds us. The Intergalactic Art Movement is devoted to organizing events and creating experiences as a platform for promoting and inspiring artists while creating positive connections in the community that benefit us all. As we face the challenges of the world we are living in, so too can we focus on following our hearts to lead us to the opportunities that are available to us. 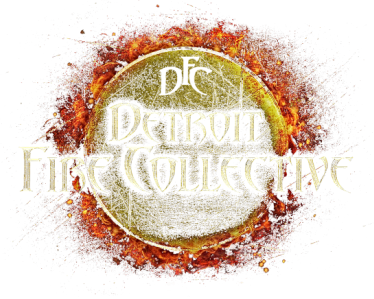 We envision a new world bursting with creativity and love and as a collective, we seek to bring together the ambassadors of the oncoming renaissance of art, music and all other forms of creative expression and healing here in Detroit and on the rest of the planet. Services - Organizing events and creating experiences for people to enjoy is our passion. We are fully equipped to do full event production for any small to medium-sized (1,000 guests), public or private venues, including DJ, musician & live artist/performer booking, stage construction & art installations, event decoration, visuals & projection mapping, sound & lighting, security, and all forms of event management and coordinating. Whether it’s a children’s birthday party or a weekend festival with multiple stages of entertainment, we have the vision and drive to create the best possible atmosphere for the mood you wish to achieve. Based on a tale of folklore from Detroit’s earliest days as a French settlement, the Marche is a playful and participatory art parade that calls on Detroiters to come together to stand up to the Nain Rouge, a malevolent mythological creature that represents all things holding the city back. Each year the cycle repeats: The Nain Rouge appears in one location to taunt Detroit. 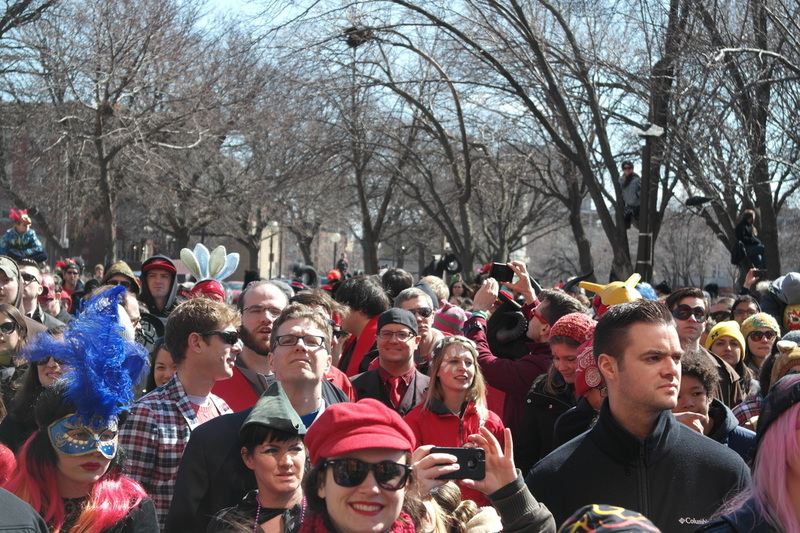 Then costumed participants follow the Nain on a one-mile march, and are finally victorious with a catharsis ceremony in Cass Park. SCRAP is a free community arts festival held in Midtown, Detroit across from the Traffic Jam & Snug. This event is designed to promote art, education and collaboration in the community. 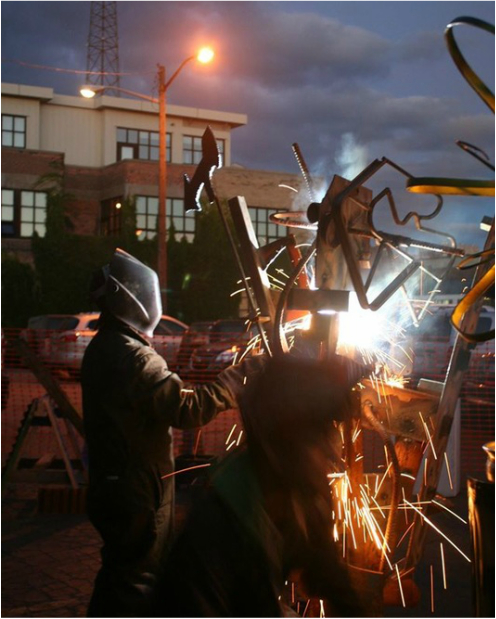 The focal point of our event is welding, blacksmith and other hot works. The event is a just one day. After months of collecting SCRAP metal the organizers accept 3 teams of welders to curate a sculpture on the day of the event, with the materials given. At the end of the event each piece is auctioned off. The proceeds go to a local non-profit. In addition to LIVE welding and blacksmith demos. There is music, vendors, interactive installation, craft tables, fire performances, and much more! Stay tuned for SCRAP 2015 details! Artists applications will open early spring!! 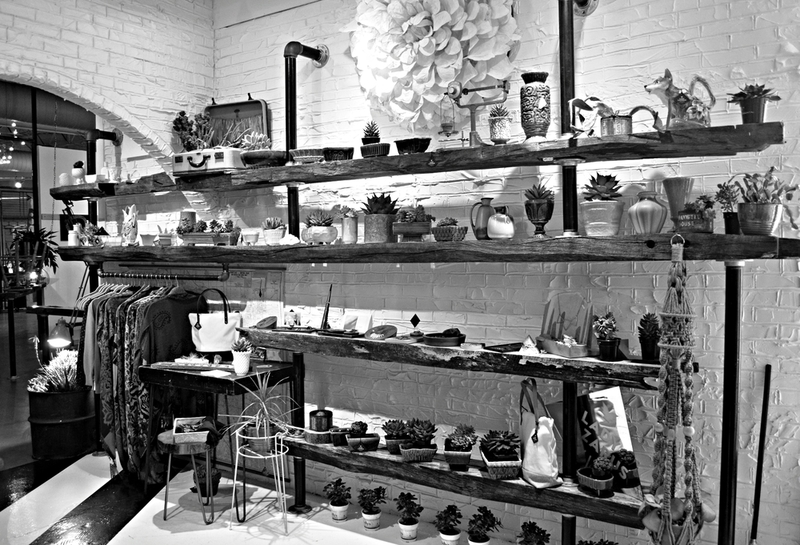 OPEN EVERY SATURDAY 11AM-7PM & SUNDAY 11AM-6PM.